So you want to learn about Oddworld? Welcome! 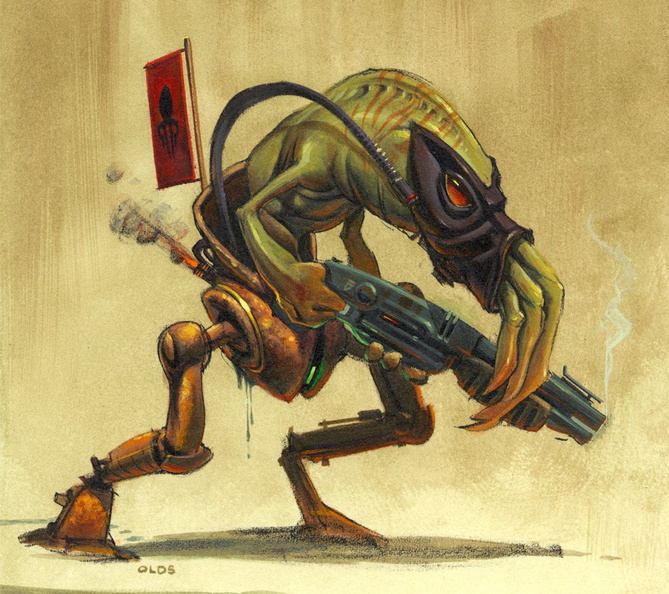 Whether you are new to the series or a returning fan, this page intends to help you find more information about Oddworld released and unreleased canon. Interested in Soulstorm only? Click here! 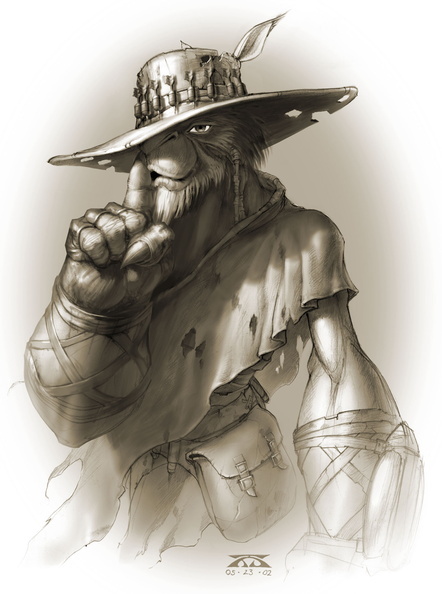 TOL :: Xavier's Wiki of Oddworld. It's a well-monitored source of information that only a select few members can edit. Because of this, the site is relatively small, but should not be underestimated. Also this domain contains other projects like TOGG and TOWW which are the largest resources of Oddworld images and archived Oddworld websites respectively. The Wikia :: The public Oddworld Wiki. It had a long history of being plagued by misinformation and fanon presented as canon, however, in the recent years it has been taken over by a competent staff that almost completely renovated the site, making it a useful and valid resource. Magog on the March :: Unlike the previous two wikis this site is less concerned with documenting things, but rather it's real strength is archiving all kinds of obscure information that I have no idea how they can even find. The site's design might be a tad bit confusing at first, but believe me, if something has ever mentioned Oddworld, you can almost be sure that MoM has or will soon have it archived. Also time by time they release videos about Oddworld's lore in a very viewer-friendly format. OWF :: While the forum has since fallen from grace a bit, the thread archives contain valuable information from several (ex-)developers. Admittedly OWF is probably the hardest place to find info on, but it is there and with some spelunking one might just hit gold. Oddwords :: My goal is to both theorize and to make learning about Oddworld a bit more welcoming to new fans. Nathan interviews Lorne Lanning again :: My personal favorite and pretty much the most important interview of them all. 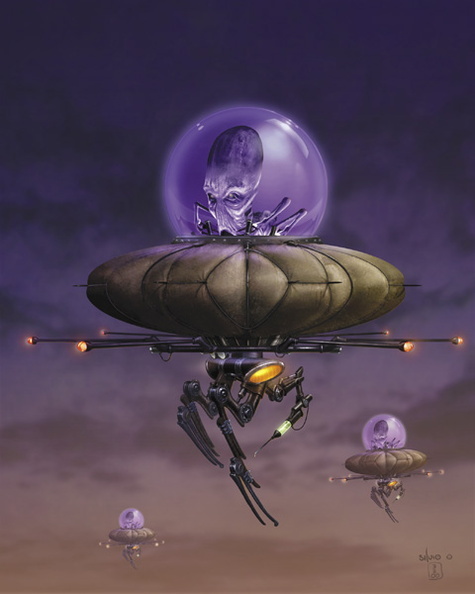 We get answers to things like the planet's size and structure, a glimpse into the Industrialist world, how Mudokons worked before they were enslaved, etc. Nathan interviews Lorne Lanning :: The previous part of the interview above has almost as many important details. Together they give a good grasp about the world. Oddworld History :: The first events that sparked the conflict between Glukkons and Mudokons told in a kind of campfire story-like manner. Abe's Exoddus - Inhabitants :: While the page concerns itself mostly with the characters appearing in Exoddus, it provides enough info about them to earn a place on this list. EGX 2017 Caddicarus interview :: In this interview Lorne Lanning answered questions about the upcoming game, Soulstorm, Mudokon anatomy, the old Quintology and other Oddworld-related topics. Soulstorm ARG Summary :: This wiki page contains the summary of the plot of Soulstorm's ARG condensed into one long post by Xavier and myself. * Munch's Oddysee - PlayNOW! Reddit AMA 2012 :: A free-form Q&A where Stewart Gilray and Lorne Lanning answered some of the fans' questions, about their personal life, the games, what their future projects were and other topics. The Art of Oddworld Inhabitants: The First Ten Years :: This book is a treasure trove, sadly quite literally. Because it was printed in such limited numbers, finding a reasonably priced copy isn't exactly easy, especially if you prefer hardcover books. Sadly for some reason the book was never reprinted, nor released as an e-book. How to start researching a topic? "Why do Sligs wear masks? Why's Abe's mouth stitched? How come we never hear about a Vykker queen?" Eventually all fans start asking themselves questions like this, but finding the answers might not be as straightforward as one would think. I'd like to share here my method, which I'm by no means claiming to be the best, but it has worked for me nicely, so I hope it might inspire a few readers. The first step is to check whether TOL [The Oddworld Library] has an article about the question you're interested in. It usually answers the easier questions in itself. However, if TOL doesn't provide a satisfactory answer don't give up hope yet, because MoM [Magog on the March] will surely have at least some obscure reference to the topic you're looking for. Enter your topic in the searchbar. Try using as few words as possible, because the query only shows exact matches. Short expressions like 'Slig' or 'Molluck', etc. are preferrable. This will likely return a whole lot of articles. I suggest first reading through a few relevant Dear Alfs. 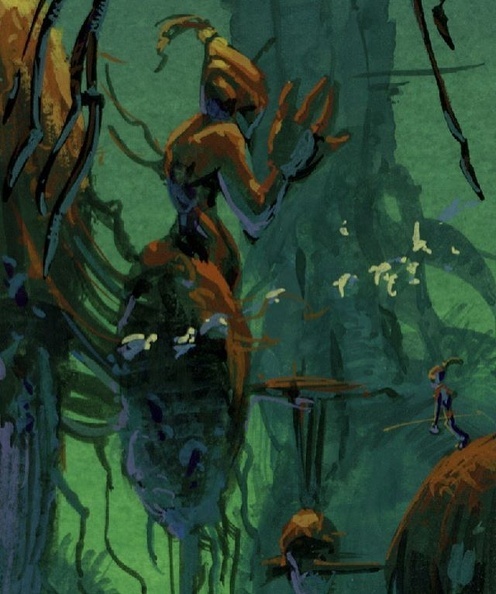 Lorne Lanning took the time and effort to make Alf vague, but every once in a blue, Mudokon-paw bearing moon, his tongue "slips" and we get some deep insight into Oddworld. After Alf, you should continue with developer interviews. There is a surprising amount of information hidden in these, that we only know about because Lorne Lanning or someone else casually dropped it. Hopefully by now you have found whatever you're looking for, but if not, it might be worth it to check MoM's video archives which contain almost every appearance of OWI and other developers working on Oddworld caught on tape. Glukkons found Sligs far too repulsive, so they force them to wear masks to be bearable. Abe used to cry a lot when he was a baby. Fearing that he will be slaughtered for being annoying, his mother Sam stitched his mouth shut, which he keeps as a memento. I'd like to mention a few of the most common abbreviations the community uses, which should make communication a bit easier. OWI :: Oddworld Inhabitants, the developers behind Oddworld. UXB :: The little bombs in AO/AE that blink green every once in a while. Where to talk with others about Oddworld? Official Oddworld :: OWI's own Discord. Currently this community has the largest active fanbase and you can even chat with the developers here. OWF's Discord :: The second largest Discord, started by a few OWF community members. The server is a lot more tight-knit and laid back. Also there are fewer rules. The Oddworld Reddit :: A relatively small Reddit community based around the game. While it isn't particularly active, it does have a very loyal core that comment under basically any kind of post. OWF :: Of course OWF is not only a lore source, but also a place where you can talk about the games. While the population of the site dropped considerably throughout the years, but it's still a very important community for discussing Oddworld.